Lorraine Paton: Reader Appreciation Giveaway! and a whole lot more, too! December is for giving, right? a chance to win some great prizes! The Reader Appreciation Giveaway, which was organized by Nikki Lynn Barrett, starts today and goes all through December! The winners will be announced in January! The Grand Prize is: An All-New Kindle Paperwhite Wi-Fi, All-New Paperwhite Display, High Resolution, High Contrast, Next-Gen Built-in Light. 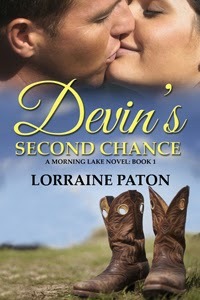 And there are piles of books and gift cards up for grabs, too - including two eBook copies of Devin's Second Chance! Since you are here, you can enter another giveaway too! It is for a $25 Amazon Gift Card, and the Rafflecopter sign up is just a little bit further down on this page.